Looking to take your business to the next level?! Let our website design experts bring your brand over the top by taking advantage of this game-changing offer! 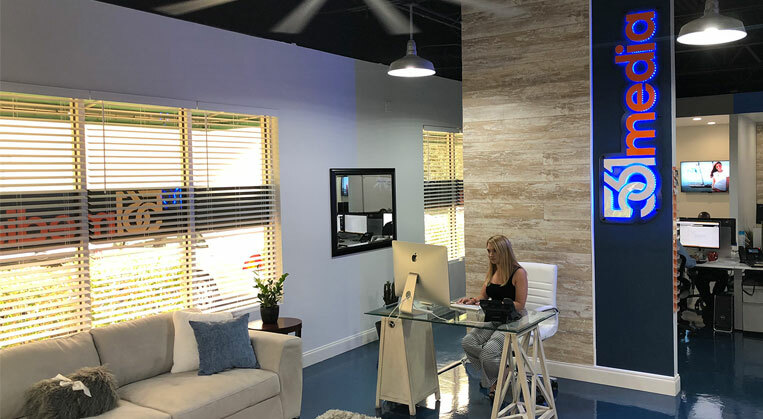 Armed with exceptional creative resources, the custom website developers at 561 Media are ready to help your company dominate the competition. Battling against the ordinary, our bold designers consistently bring fresh concepts and originality to their work. Contact Us Today. 561 Media is a custom web design, web development and digital marketing agency located in Boca Raton, Florida. We are highly regarded and sought after for the uniqueness of our work, speed and ability to customize projects to precisely suit our client’s needs, and our cutting edge website development solutions. Contact Us Today. Stop by our Boca Raton Office Anytime! We pride ourselves on being a high-end marketing, branding, web design and development company that creates and manages all aspects of your companies project and business needs from the ground up. Using our creative insight, we will create a professional and inventive internet presence for your organization. 561 Media offers custom logo design, custom landing pages, custom website design, web development, social networks, e-commerce solutions, website consulting, corporate identity packages, website management, search engine optimization, and website hosting. © 2019 561media.com. All Rights Reserved.